Under new ownership, O’Shea’s Olde Inne is a great Irish pub located just a couple of miles past the Bass River Bridge. Featuring a menu that consists of Irish, English, American, seafood and steak house, you’ll have no problem finding that perfect meal. At the bar, you’ll find some of the best ales and stouts including Guinness and magnas Irish cider to name a few. The inside atmosphere is full of old world charm. The all dark wood interior and fire place make either sitting at the bar or in their dining room a pleasureful experience and with the friendly staff youâ€™ll be glad you came. Open seven days a week, O’Shea’s Olde Inne features live music every night consisting of some of the best local Irish music. So, if you’re looking for an exciting yet casual night out, be sure to stop by and enjoy the next best thing to Ireland. 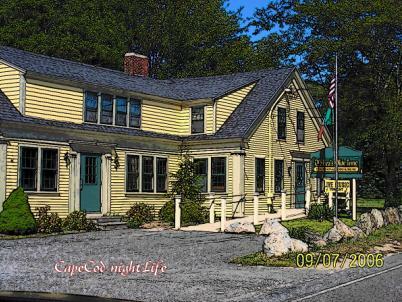 Visit our site at Cape Cod Nightlife.com. Be sure to check out our events calendar. Check us out on myspace. Local bands and party people add us to your friends. I used to frequent the pub every summer when traditional Irish music was played. Now it has turned into a different type of experience, and to my way of thinking, is no longer an IRISH pub. I think it would be better advertised as being what it actually is - folk music, and a down home American style pub. The pub has changed hands since the article was written on 08/27/06. I’ll see if I can get CapeCodNightLife to update the article. Had dinner at O’Sheas Sat. night 4/11/09. Food and Irish Music were great. I got to meet the owner Joe Shea and found out we knew alot of the same people back in Conn. I will go back to O’Sheas every time I am At the Cape. I highly recommend it. My boyfriend and I were up in Cape Cod for the week-end of April 4th & 5th 2009. We always go to the Celtic Kitchen for breakfast, and while we were there we were told about O’shea’s and what a great place it is. That night we decided to go check it out and let me tell you we had such a good time, the place was packed and the band was awsome. We will be coming up again in june and can’t wait to stop by for a good time. This time i think we will go early to grab some dinner. re: Kathleen Gorman “to my way of thinking, is no longer an IRISH pub.”—what foolish comment. O’Shea’s is the closest thing to an authentic Irish pub this side of the Atlantic…and i’ve been to hundreds on both sides of the pond. Whelan…hardly your regular American Pub…Live music 365 days a year! !